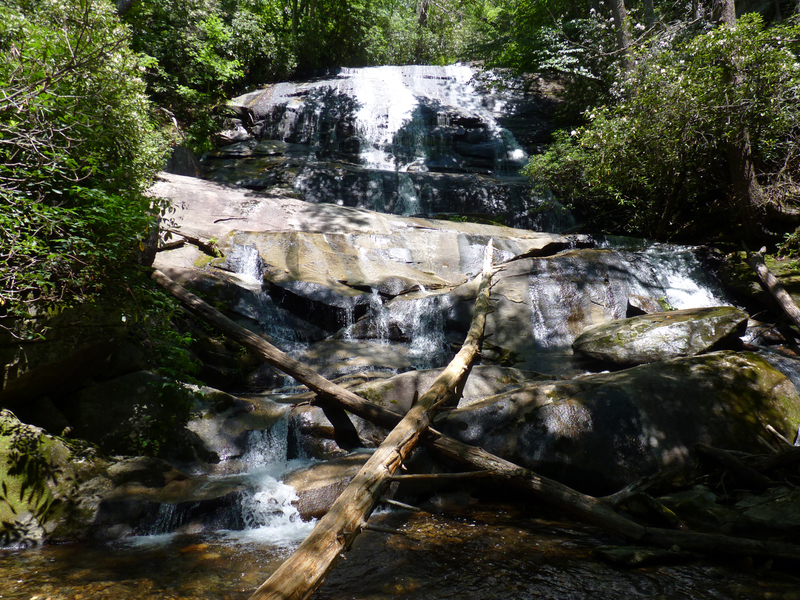 Cove Creek Falls is a high (50 feet), steep slide/cascade with a few free-fall ledges. The flow splits into several paths on the way down, and there is a flat ledge about 2/3 of the way down. On the way to the falls there are several beautiful cascades that are worth scrambling down the creek bank to see up close. From the intersection of U.S. 64, U.S. 276, and N.C. 280, drive 5.2 miles on U.S. 276 north to F.R. 475 on the left. Turn left, passing the Pisgah Center for Wildlife Education in 1.4 miles. 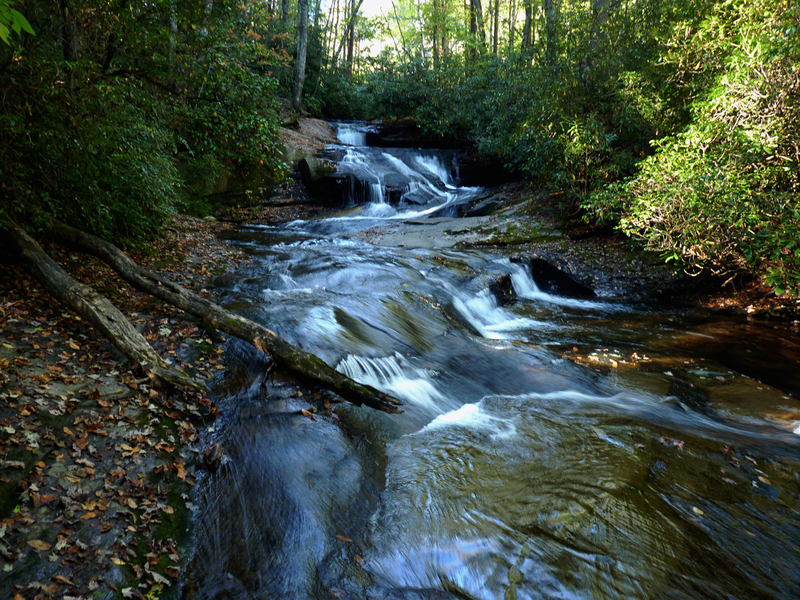 In 3.1 miles, reach the parking area for Cove Creek Group Camp on the left and the beginning of F.R. 809 on the right. 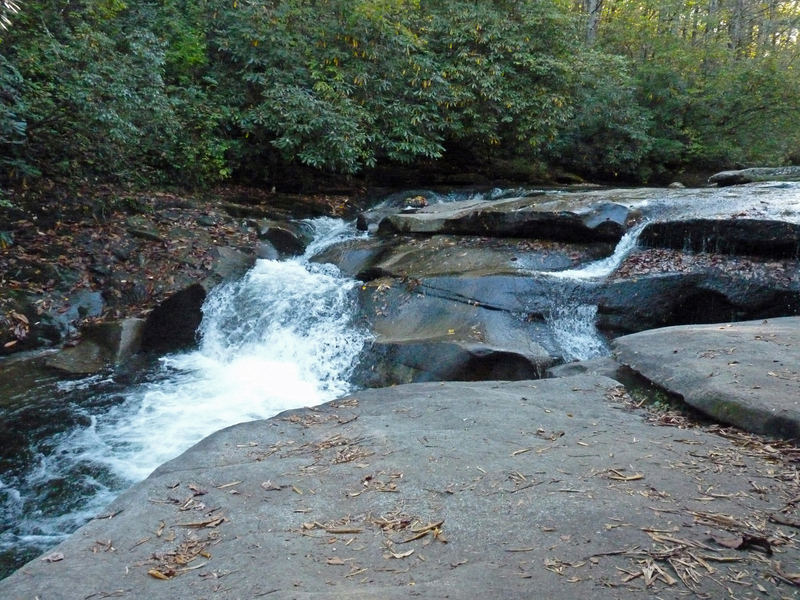 Before the hike (or any in Pisgah NF), It is advisable to stop at the ranger station on US 276 to get more details and a map to any waterfall.